To locate tiny Howland Island, Earhart and Fred Noonan expected to communicate with the Itasca, a United States Coast Guard cutter that President Roosevelt agreed to locate near the island for assistance. Although the cutter received messages, at first faint but then clearer and stronger, communication ultimately failed. Upon learning that the pair had not arrived, Roosevelt ordered a massive sea and air search that went on for more than two weeks. When that search was terminated, George Putnam underwrote his own search that lasted until October. Newspapers around the globe covered the search on a nearly daily basis. Yet as time elapsed, hope for their safe recovery faded. 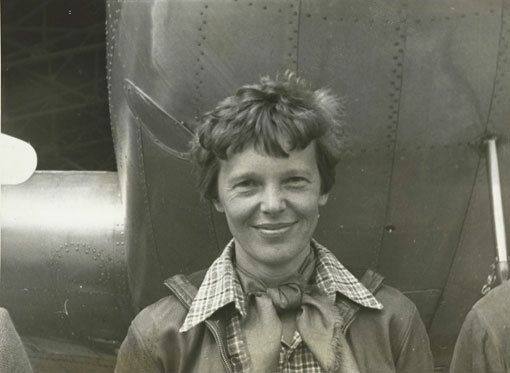 In 1939, a probate court in Los Angeles declared Earhart legally dead. Neither the plane nor the bodies of the two pilots have ever been recovered.